Throughout March 2017, young travellers onboard MBNA Thames Clippers will be treated to their choice of a free babyccino or Capri Sun when their parent buys any drink from the onboard bar between 10am and midday. This offer is great for families visiting London’s iconic attractions as well as local parents looking for something different to entertain the kids. We all know, too well, the travel difficulties faced when taking our families into London for the day. Rail travel can be challenging at the best of times, and trying to navigate tube stations with a double buggy soon takes the fun out of a big trip out for me. 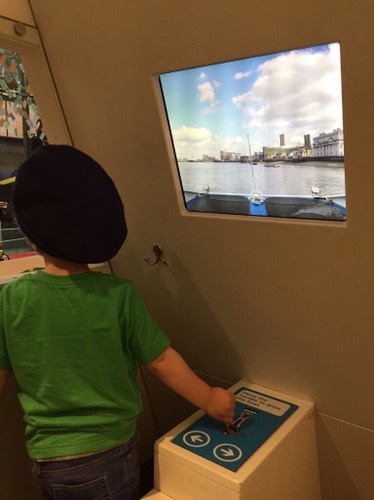 Which is why MBNA Thames Clippers is my favourite way to travel in London: step free access, space to breathe, views to keep the little ones entertained throughout the journey… and there’s a bar on board!! We never tire of seeing London from the river! 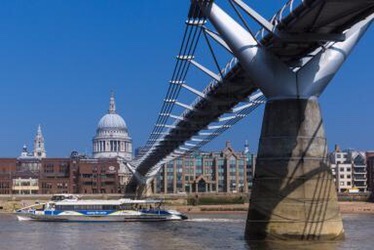 This month, Mums and Dads will be able to enjoy even more leisurely river travels as they explore the UK capital, thanks to this new toddler-friendly promotion from MBNA Thames Clippers. With ramp access, buggy-parking, a great range of snacks and the best window seats in town, the floating coffee morning concept is the most recent addition to MBNA Thames Clippers’ family-friendly facilities. 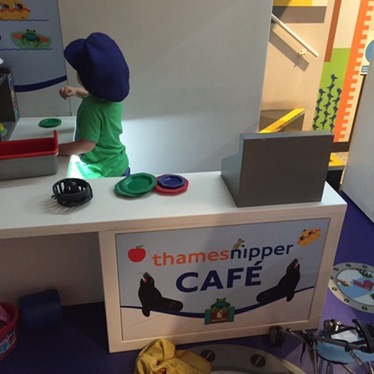 Why not pop into the London Transport Museum, in Covent Garden, and let your little ones play one their very own “Thames Nipper” in the miniature play zone. We are huge fans! MBNA Thames Clippers is London’s leading river boat service, connecting many of the capital’s top attractions and providing passengers with the opportunity to take in the iconic London skyline from the river along the way. Tickets in the Central London zone cost £6.30 for an adult single journey and £3.15 for a child (aged 5 to 15 years) single journey when using contactless or Oyster to pay as you go. Or, book a River Roamer ticket online to enjoy unlimited hop on, hop off travel all day from £16.30 for adults and £8.15 for children. Children under five travel free! The London Transport Museum costs £17.50 for adults; £15 for concessions and children go free!